You’ll find me in the small islands glasshouse, my name is Rio. 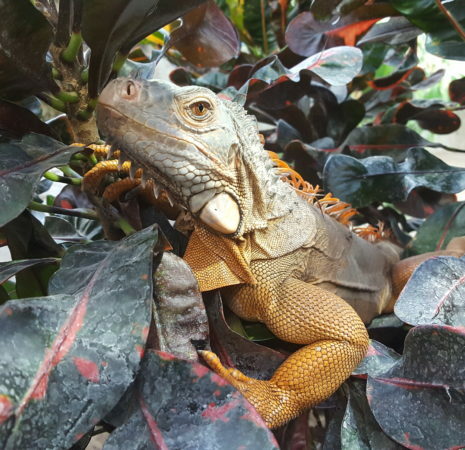 You might notice that although I’m called a green iguana, I am in fact red! 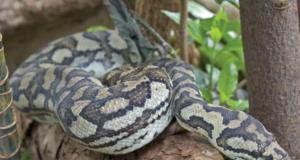 I came to the Living Rainforest after being a pet for a number of years. 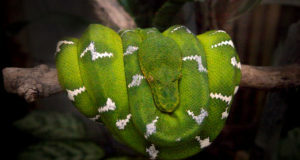 It is common in the pet trade to selectively breed animals with more desirable traits, and artifically create different colour morphs.